Does Espresso Inhibit Weight Loss? Why Does Coffee Give You a Burst of Energy? You may worry about drinking coffee thanks to periodic warnings about it stunting your growth or causing cancer and heart disease. There is research, however, that suggests that drinking a moderate amount of coffee a day could actually protect your health, according to Harvard Health Publications. Still, drinking coffee could have some disadvantages. Drinking high levels of unfiltered coffee may increase your risk of slightly higher cholesterol levels, according to Harvard Medical School. Drinking at least two cups of coffee per day may also increase your risk of heart disease if you have a genetic mutation that slows down how quickly your body breaks down caffeine. The Harvard School of Public Health, however, examined the relationship between mortality and coffee consumption in two separate studies -- a combined study of about 130,000 volunteers -- and found no correlation between coffee consumption and increased risk of dying from any cause or condition. 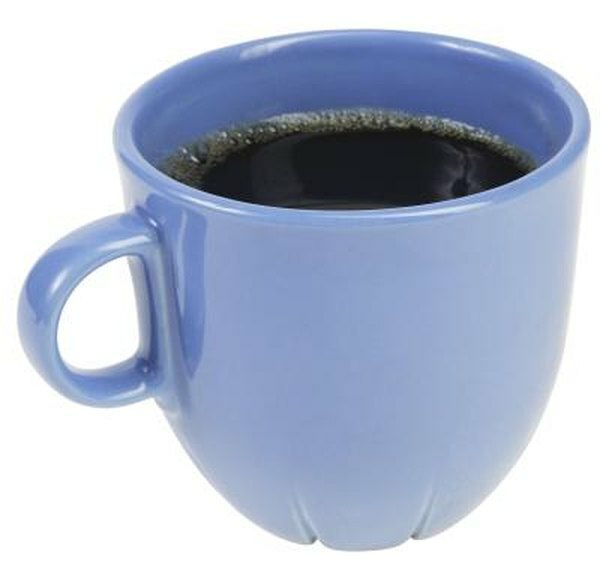 The 2004 study even accounted for people who consumed up to six cups of coffee every day. Most research pertaining to coffee and its health effects is based on coffee that is black or contains some sugar or milk rather than the fancy coffee beverages you can buy at a coffeehouse. These beverages contain coffee but also are frequently high in calories. For instance, a 24-ounce mocha iced blended coffee drink with whipped cream can contain up to 500 calories; this accounts for about 25 percent of the average person’s daily caloric intake. Because beverages tend to be less filling than foods, you aren’t as likely to eat fewer calories later in your day just because you had a calorie-rich beverage. Consuming too many calories can lead to weight gain and weight-related health problems such as type 2 diabetes. If you’re like most healthy adults, you can safely consume about 200 to 300 milligrams of caffeine per day, which equals around two to four cups of brewed coffee. You are more likely to experience unwanted effects such as insomnia, nervousness, irritability, upset stomach, muscle tremors and increased heartbeat if you drink more than four cups of coffee a day. However, caffeine sensitivity plays a role, too. You are more likely to experience negative effects with smaller amounts if you aren’t used to consuming caffeine, if you have a small body size or if you have an anxiety disorder. You may also be at increased risk of ill effects from coffee if it contains caffeine and you take certain medications or herbal supplements. For instance, certain antibacterial medications can impede caffeine’s breakdown and increase the amount of time that its effects linger in your body. Additionally, you may experience heart palpitations, nausea and vomiting if you drink caffeinated coffee in conjunction with a bronchodilator called theophylline. You can reduce your risk of experiencing negative effects if you ask your pharmacist or doctor about whether consuming coffee could influence your medications. Harvard Medical School: What is it About Coffee? Will the Caffeine in Tea Dehydrate You? Does Decaffeinated Tea Have the Same Health Benefits As Caffeinated Tea? What Is the Healthiest Tea That's Good for Weight Loss? What Are the Benefits of English Tea? Can a Sauna After Exercise Help Burn Fat?